In Ohio, a driver has a duty to stop after a collision and to provide his or her name, address, and vehicle registration number to the other party or to a police officer. If you fail to stop and provide information, you could be charged with hit and run. Hit and run is a serious offense. If you have been charged, it’s important to contact a hit and run defense attorney in Columbus, Ohio. Under Ohio law, a person who does not stop after an accident can be charged with a misdemeanor of the first degree. This offense is punishable by a maximum of 180 days in jail and/or a fine not more than $1,000. If the accident results in serious physical harm to a person, the offender can be charged with a felony of the fifth degree. A felony conviction can result in a prison sentence ranging from six months to one year and/or fines up to $2,500. A hit and run is not easy to prove. In order to sustain a conviction of a violation of the hit and run statute, there must be some evidence to connect the defendant with the crime. There are many different defenses that a Columbus, Ohio hit and run defense attorney can employ. Below are just a few of the possible defenses in a hit and run case. Where forensic evidence is used to identify a hit-and-run vehicle or driver, an attorney can challenge the admissibility of the evidence or the qualifications of the witness presenting it. The admissibility of opinion evidence regarding any matter of science, such as the reconstruction of an accident, the identification of substances by analyses, or the cause and time of a person’s death may well be affected by the rule of Daubert v. Merrel Dow Pharmaceuticals, Inc. Daubert sets forth the requirements of expert testimony. Medical testimony may also be objectionable, if the witness strays from his or her field of expertise. A physician may be qualified to testify as to the cause of death, although she has not been specially trained in forensics, if the matter is within her area of practice. However, a mere title will not qualify one to render an expert opinion. For instance, a coroner need not be a physician or have any special training, and thus may not be qualified to render an opinion. Further, a physician eminently qualified to render a medical opinion may not be well qualified to discuss such matters as whether a person’s injuries are consistent with being hit by a particular car under particular circumstances. If the police searched a defendant’s vehicle or person to obtain evidence there may be a probable cause issue. The police must have probable cause to perform a search. There may be exculpatory evidence that proves the defendant did not or could not commit the crime. This may include testimony that the defendant was not in the vicinity during the time of the accident. In order to sustain a conviction for hit and run, the prosecutor must establish that the driver had knowledge of the collision. The fact that the driver is unaware that he or she was in a collision may be a sufficient excuse for a failure to stop. A Columbus, Ohio hit and run defense attorney can always attempt to negotiate a plea. A plea may include a defendant pleading to a lesser offense. 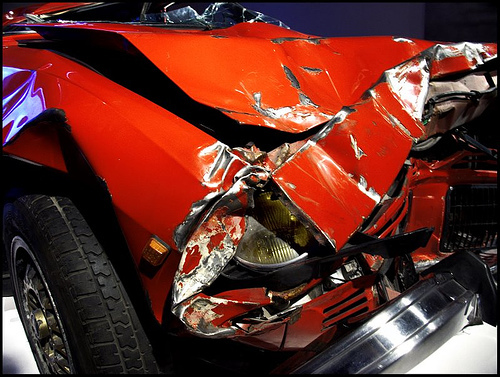 Hire an experienced Ohio hit and run defense attorney at Maher Law. Attorney Colin Maher has extensive knowledge and experience dealing with all types of criminal traffic violations. He knows exactly what the prosecution has to prove in order to get a hit and run conviction, and how to provide adequate defenses. For your free and confidential consultation, contact an experienced Traffic Violation Attorney at The Maher Law Firm.